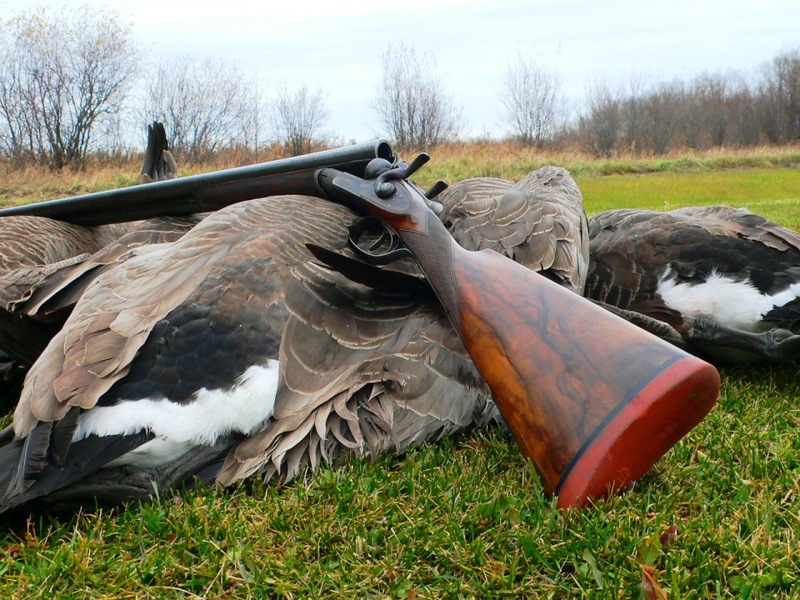 An army may march on its stomach, but bird hunters make tracks in their boots. Whether trekking along ridges, wading through croplands or negotiating alder bottoms, upland hunters depend on good footwear to cover ground. Thankfully, the hardest part these days is choosing between a slew of quality offerings. So to help in the decision-making process, we picked five popular models and put them through the paces. What we found will help you beat feet next season. Leave it to the Austrians to develop boots that work as well on the peaks as they do in the valleys. These lightweight, mid-height boots were comfortable right out of the box—and they improved with distance. Nubuck leather uppers, aniline leather lining and cushioned Volume Control Plate insoles made the boots feel great inside and out. A proprietary Sympatex membrane offers waterproof, breathable protection. Flexible Vibram soles with medium tread provided good grip on rocks, and there was plenty of ankle support when sidehilling. 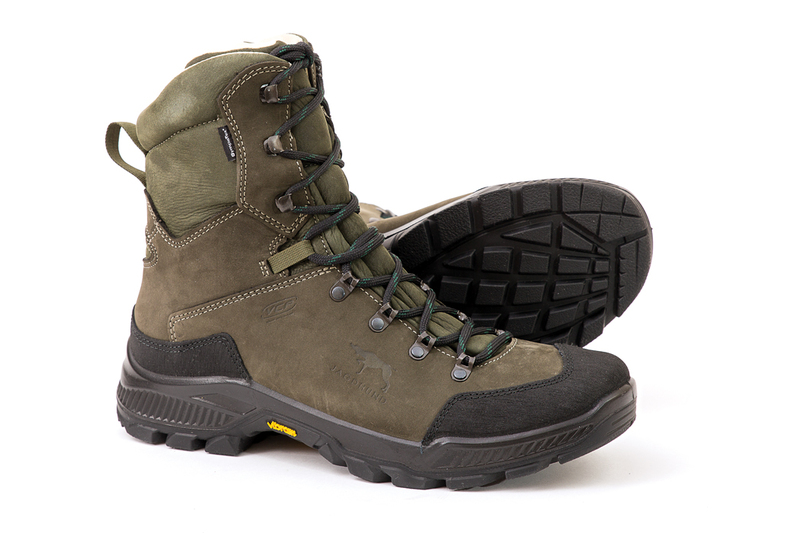 Generous sizing made the boots feel roomy but secure, especially on steep inclines and declines. A bonus was the attractive styling, which would make these boots as appropriate around town as in the field. Height: 8”; weight: 3 pounds 5 oz. Price: $300. Genuine-leather uppers and abrasion-resistant Cordura panels give Browning Featherweights a traditional look, and Climate Command technology offers waterproof protection. Lacing was not ideal, as holes (versus hooks) at the top inhibited tightening, and though the boots were stiff out of the box, they did loosen up. There was good ankle support and ample tread grip, but the “boxy” toe allowed too much foot movement on steep downhills. Also, the padded cushion at the top pressed painfully against the calf. Available in Bracken or Potting Soil/Forest Night. Height: 8”; weight: 3 pounds 4 oz. Price: $150. Known more for its Wellie-style footwear, French bootmaker Le Chameau has produced the luxury ride of upland boots. The Condor model is stylish and plush, with nubuck-leather uppers, a proprietary waterproof lining and a rubber rand around the entire boot. These boots were field worthy right out of the box—cinching up tight and offering cushioned, foot-hugging comfort. They provided solid ankle support, and the Michelin soles, inspired by motocross tires, offered excellent traction. The only “issue” was that the boots had an annoying creak. Height: 8”; weight: 3 pounds 9 oz. Price: $400. Two iconic American brands teamed up to produce this limited-edition boot. Built on Danner’s proven platform, these boots pair Filson Tin Cloth quarter panels with full-grain-leather uppers and a Gore-Tex lining. 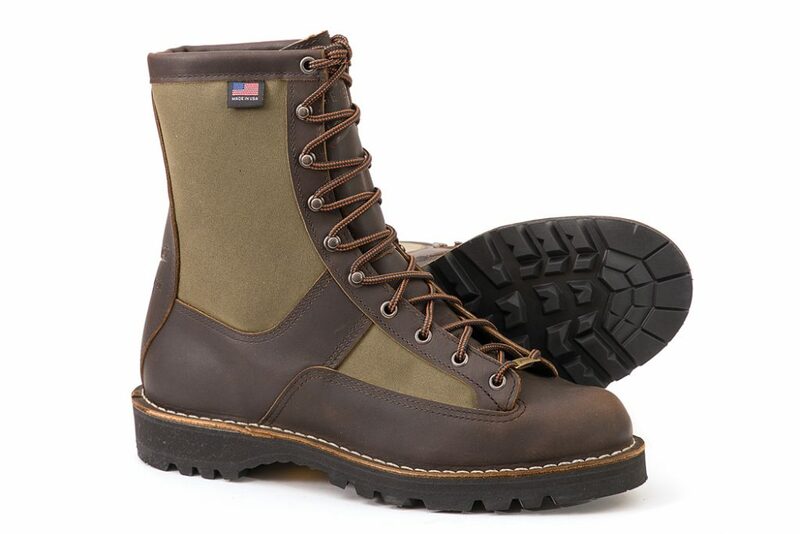 Danner’s stitch-down construction offers a wide, stable platform. Stiff at first, the boots became more comfortable after several miles. Cinching the laces was made difficult by holes at the top, and this may have contributed to toes pinching on steep downhills. The Vibram outsole with aggressive tread provided good traction. Height: 8”; weight: 3 pounds 12 oz. Price: $390. 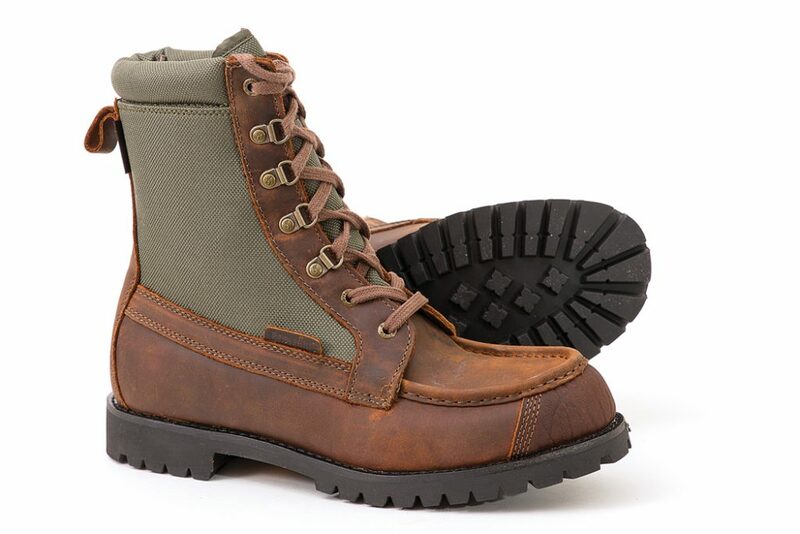 danner.com or filson.com. As the name implies, Kenetrek’s Mountain Extremes are built for gaining and losing elevation. 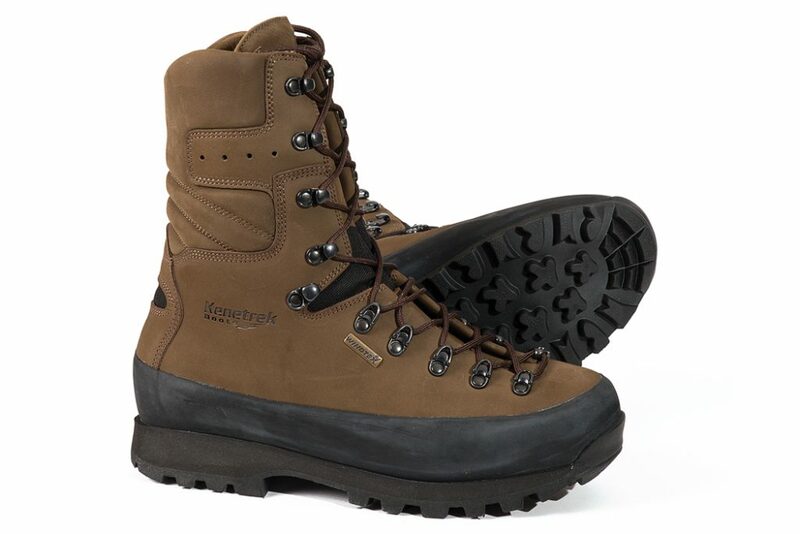 With 7mm nylon midsoles, a rubber sole guard, and outsoles with aggressive, knobby-tire-like tread, these boots excel on rocks and steep sidehills. 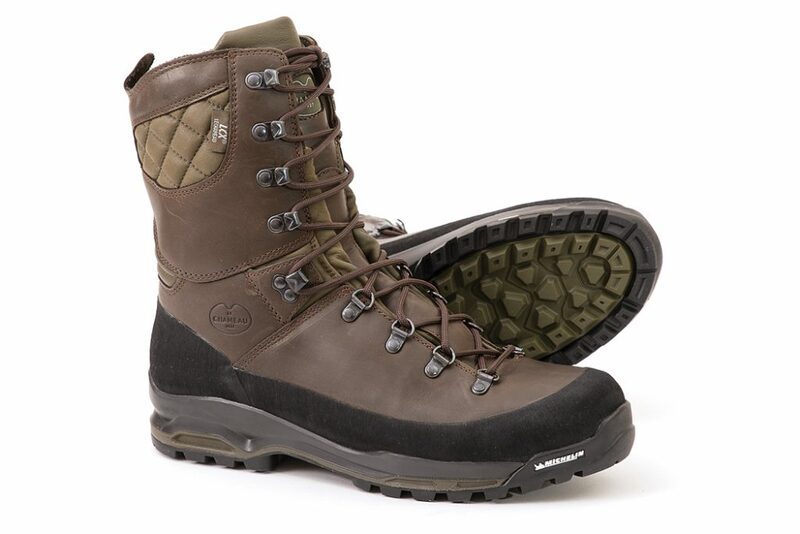 One-piece full-grain-leather uppers and a Windtex waterproof membrane keep feet dry and comfortable. And comfortable these boots were, when both climbing and walking on flat ground. The taller heel and extra weight felt a bit clunky at first, but it didn’t take long to start cruising with ease. Height: 10”; weight: 4 pounds 4 oz. Price: $455.